What is the cheapest way to get from Oradea to Deva? 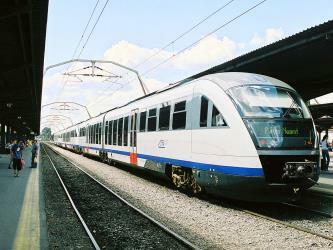 The cheapest way to get from Oradea to Deva is to train which costs $9 - $16 and takes 6h 22m. What is the fastest way to get from Oradea to Deva? The quickest way to get from Oradea to Deva is to taxi which costs $90 - $110 and takes 3h 21m. Is there a direct bus between Oradea and Deva? Yes, there is a direct bus departing from Oradea and arriving at Deva. Services depart once daily, and operate every day. The journey takes approximately 4h 30m. 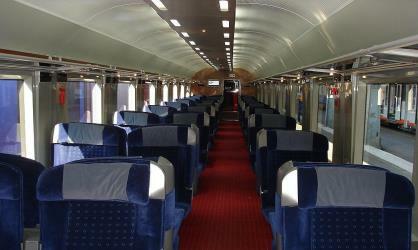 Is there a direct train between Oradea and Deva? No, there is no direct train from Oradea to Deva. However, there are services departing from Oradea and arriving at Deva via Arad. The journey, including transfers, takes approximately 6h 22m. How far is it from Oradea to Deva? The distance between Oradea and Deva is 150 km. The road distance is 188.9 km. How do I travel from Oradea to Deva without a car? The best way to get from Oradea to Deva without a car is to bus which takes 4h 30m and costs . How long does it take to get from Oradea to Deva? The bus from Oradea to Deva takes 4h 30m including transfers and departs once daily. Where do I catch the Oradea to Deva bus from? Oradea to Deva bus services, operated by Scorte Trans - STC, depart from Oradea station. Where do I catch the Oradea to Deva train from? 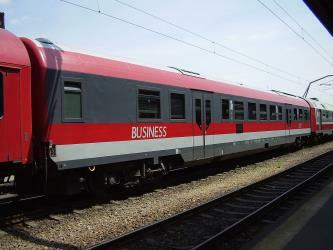 Oradea to Deva train services, operated by Romanian Railways (CFR), depart from Oradea station. 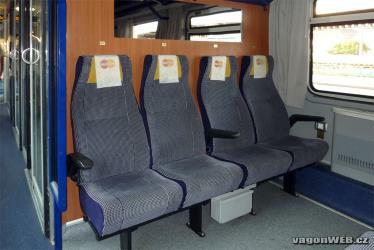 Train or bus from Oradea to Deva? The best way to get from Oradea to Deva is to bus which takes 4h 30m and costs . Alternatively, you can train, which costs $9 - $16 and takes 6h 22m. What companies run services between Oradea, Romania and Deva, Romania? Scorte Trans - STC operates a bus from Oradea to Deva once daily, and the journey takes 4h 30m. Alternatively, you can take a train from Oradea to Deva via Arad in around 6h 22m. Rome2rio's Travel Guide series provide vital information for the global traveller. Read our range of informative guides on popular transport routes and companies - including How to get from Florence to Rome, Which London airport should I choose? and Flying into Beijing? - to help you get the most out of your next trip. Where does the Oradea to Deva bus arrive? Oradea to Deva bus services, operated by Scorte Trans - STC, arrive at Deva station. Where does the Oradea to Deva train arrive? 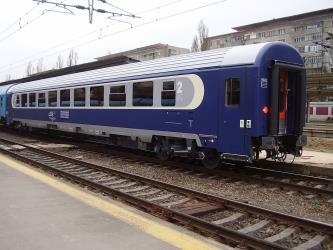 Oradea to Deva train services, operated by Romanian Railways (CFR), arrive at Deva station. Can I drive from Oradea to Deva? Yes, the driving distance between Oradea to Deva is 189 km. It takes approximately 3h 21m to drive from Oradea to Deva. Where can I stay near Deva? There are 147+ hotels available in Deva. Prices start at $27 USD per night. Magna Curia (Latin for The Great Court) or The Bethlen Castle is a palace located in Deva, Romania. Corvin Castle, also known as Hunyadi Castle or Hunedoara Castle (Romanian: Castelul Huniazilor or Castelul Corvinilor; Hungarian: Vajdahunyadi vár), is a Gothic-Renaissance castle in Hunedoara, Romania. It is one of the largest castles in Europe and figures in a top of seven wonders of Romania. The Fortress of Deva (Romanian: Cetatea Devei, Hungarian: Déva vára) is a fortress located in the city of Deva, Hunedoara County, Romania, on top of a volcanic hill. The Museum of Dacian and Roman Civilisation is a museum in Deva, Romania. A brief history of Deva and its other neighbouring citadels as well as extensive archaeological discoveries from the numerous sights in and around the Orăştie Mountains are exhibited in the museum. Rome2rio makes travelling from Oradea to Deva easy. Rome2rio is a door-to-door travel information and booking engine, helping you get to and from any location in the world. Find all the transport options for your trip from Oradea to Deva right here. Rome2rio displays up to date schedules, route maps, journey times and estimated fares from relevant transport operators, ensuring you can make an informed decision about which option will suit you best. Rome2rio also offers online bookings for selected operators, making reservations easy and straightforward.